Facebook said those closures came on top of blocking millions of attempts to create fake accounts every day. FACEBOOK BANNED 583 million fake accounts in the first three months of 2018, the social media giant has said, detailing how it enforces “community standards” against sexual or violent images, terrorist propaganda or hate speech. Responding to calls for transparency after the Cambridge Analytica data privacy scandal, Facebook said those closures came on top of blocking millions of attempts to create fake accounts every day. Despite this, the group said fake profiles still make up 3-4% of all active accounts. It claimed to detect almost 100% of spam and to have removed 837 million posts assimilated to spam over the same period. Facebook pulled or slapped warnings on nearly 30 million posts containing sexual or violent images, terrorist propaganda or hate speech during the first quarter of this year. Improved technology using artificial intelligence had helped it act on 3.4 million posts containing graphic violence, nearly three times more than it had in the last quarter of 2017. In 85.6% of the cases, Facebook said that it detected the images before being alerted to them by users, said the report, issued the day after the company said about 200 apps had been suspended on its platform as part of an investigation into misuse of private user data. The figure represents between 0.22 and 0.27% of the total content viewed by Facebook’s more than two billion users from January through March. “In other words, of every 10,000 content views, an estimate of 22 to 27 contained graphic violence,” the report said. In Ireland, the social media giant has come under scrutiny and pressure to be more transparent in the run up to Ireland’s referendum on the Eighth Amendment on 25 May. 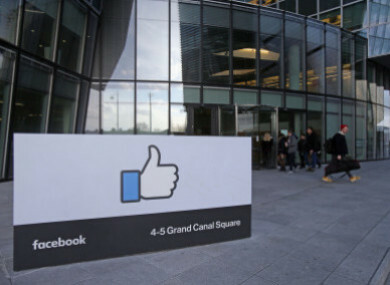 Concerns over foreign groups buying Facebook ads to target Irish voters ahead of the referendum prompted the company to implement a ban on its platform to all foreign ads in relation to the referendum. However, there have still been calls for increased regulation from government over social media campaigns and political advertisements. In its report Facebook said that responses to rule violations include removing content, adding warnings to content that may be disturbing to some users while not violating Facebook standards; and notifying law enforcement in case of a “specific, imminent and credible threat to human life”. Improved IT also helped Facebook take action against 1.9 million posts containing terrorist propaganda, a 73% increase. Nearly all were dealt with before any alert was raised, the company said. Email “Facebook banned 583 million fake accounts in the first three months of the year”. Feedback on “Facebook banned 583 million fake accounts in the first three months of the year”.